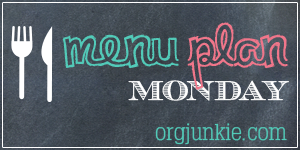 Hello and welcome to the first Menu Plan Monday of 2015!! So who is ready to have an organized new year? No better place to start than with a menu plan. Gosh if you want to feel organized and on top of things, wait until you see how fabulous you feel when your meals are all planned out. I’m seriously not kidding, you’ll be on top of the world with excitement. Especially when that horrible 4 o’clock hour rolls around and you DON’T have to stress about what’s going to be for dinner because you’ve already got it figured out. Go you!! Now for the life of me I don’t know why people are so hesitant to give menu planning a try. You just got to give it a go to see what a difference it will make in your life. It will, it really will! I could go on and on, this is just a few of the many benefits. So if you’ve never planned a menu before grab yourself a free printable menu planner and start plugging in some recipes. Pinterest is a great resource for recipes by the way! Or do what many people tell me they do and just borrow ideas from some of the participants below. You’ve got this! And I’m so super excited with how my New Year’s Eve pizza (made with regular pizza dough) turned out that I made for the family. Such a cool idea, they loved it!! Friday: Pizza Party Friday Night! This bread machine dough is our favorite. Have a super yummy and organized week! What an adorable pizza, Laura! Thanks as always for hosting! I love that new year’s eve pizza! Is it french bread or pizza crust? Thanks for hosting this great linkup. Thanks to you I love menu planning instead of dreading it. We have a bunch of copycat restaurant recipes on y he menu plan this week cause hubby was involved in picking recipes! Just a regular pizza dough shaped into the numbers. So easy! Love that pizza! What a fun way to make it something special. Happy New Year! Wow! Love the New Years Eve pizza! I wish I had seen that before, my kids would have loved that!! Next year! Okay where do live? I thought it was cold in Michigan but we are a balmy 6 degrees today! I love the pizza idea -so smart! Colorado has been super duper cold too. It was a windchill of -45C the other morning and snowing. Thankfully it’s supposed to warm up a lot this week, so I’m hoping it will melt soon. In the meantime, my slow cooker is getting a good workout! I love using my slow cooker too especially on a cold day! Thank you for these suggestions! I can’t wait to try them, and get my family in a better habit this year. I’m going to pin this to my Pinterest board so I can look back on it later!! We would have such a wonderful time Kate!! 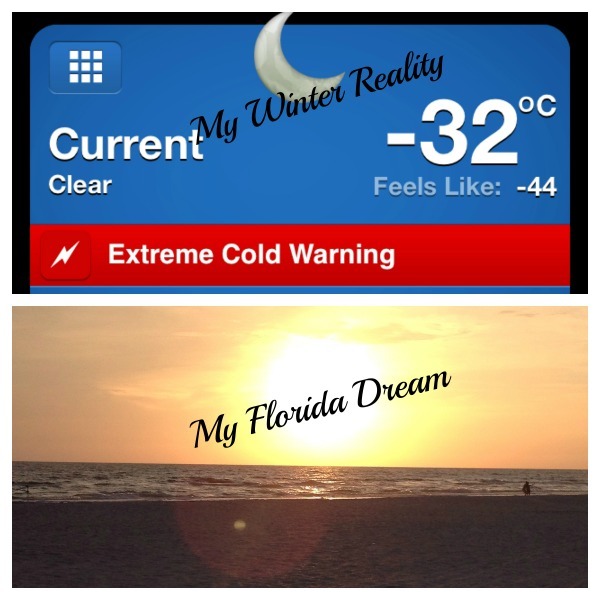 We actually were in Florida for Christmas with my parents and it was 82 degrees. We were SO hot! It is hard for the old body to adjust to such a huge change so quickly! Then of course coming back north and we were freezing for the first couple of days! Oh wow, I’ve often wondered what it would be like to go to a hot climate for Christmas. 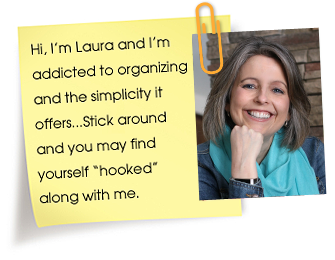 Laura!!! Oh how I have missed sharing my meal plan here each week. How do we let life slip away like this. For years I shared my meal plan every Monday on my site and then came here and linked up. In 2014 that habit disappeared for me. I am so excited to be back sharing my meal plans and see you guys over here! 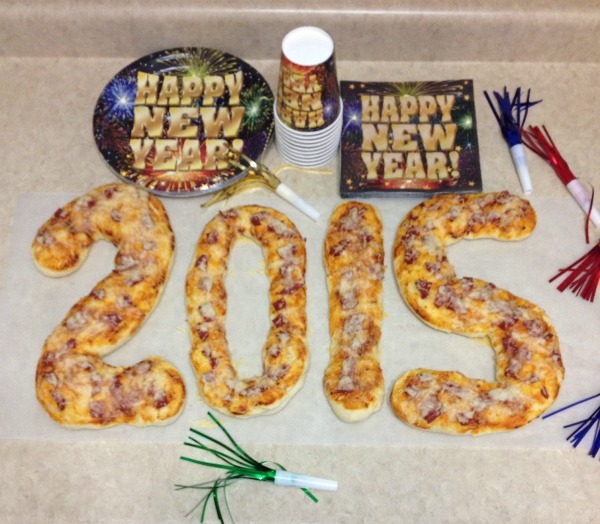 And, I adore that pizza you made for 2015. That just might be the most creative New Years Even dinner I’ve ever seen! Hi Crystal! So glad to have you back!! Your recipes are always perfect for a busy night! I had the same issue – so runny! I let mine simmer, then when it wasn’t thickening afterI let it simmer a bit more… then I figured maybe it would thicken as it cooled. Let it sit in the fridge in its jars overnight, but no such luck! I’m thinking of boiling it with a little gelatine to thicken it up, will that work?